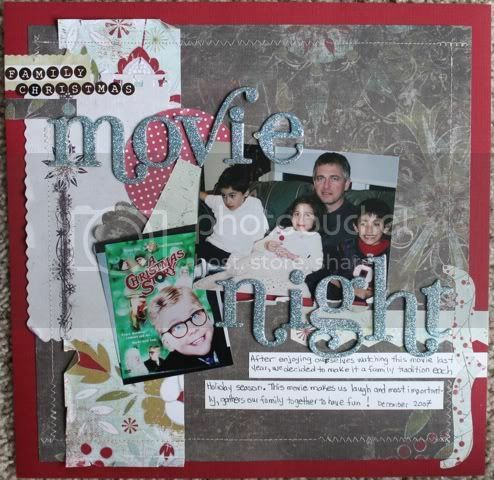 It was another round of layout tag at Scrapshotz last week. I love playing this. The first person kicks it off with a layout chosen from the gallery and creates a layout inspired by it. You then "tag" the next person with your layout and they draw inspiration from that layout to create their own and so on down the list players until completion. I gave my poor little sewing machine some love pulling it out for this layout. I used Fancy Pants papers from the December 2009 Scrapshotz kit. I love how it turned out!